Today, I'm delighted to share with you a new book written by my friend, Carolina DuFault. If you don't follow her blog, La Clase de Sra. DuFault, you should stop by and check it out. On it, she shares tips and information for the Spanish classroom. Carolina also spends a lot of her time creating printables and eBooks, such as this one. 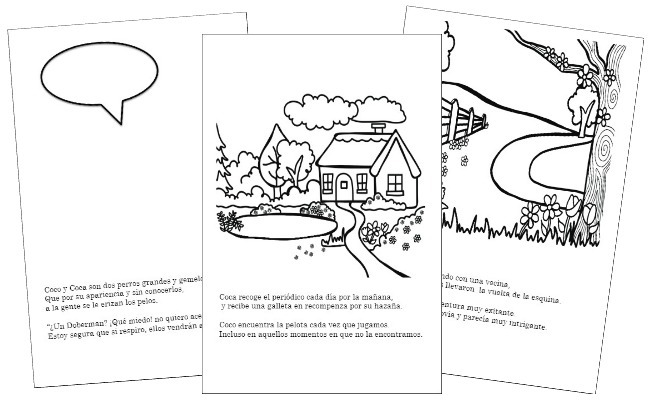 Coco y Coca tienen miedo is an interactive book that engages your child. Every page invites the reader to use his imagination to draw the characters or setting. The books is carefully designed to develop a child's reading comprehension and creativity. I love that children can read the passage at the bottom of the page, and then fill in the blank spaces on the pages to complete the picture. I especially love that this activity allows children to see their own ideas and drawings become part of a book. What a great way to nurture a future author or illustrator! 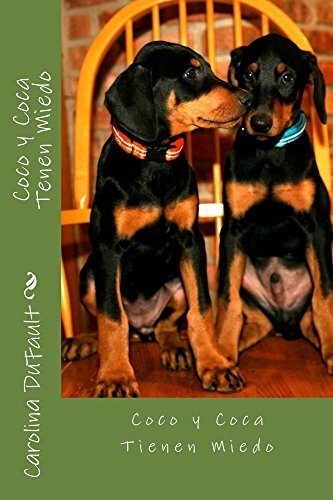 The story itself is simple: Coco and Coca are two Doberman Pinschers who are very friendly and smart. But sometimes they are misunderstood. This book talks about prejudice and gossip, which we often give more attention to than what we should. Young readers will go on Coco and Coca's adventures and learn that there is more to a story than what you might think! You can find Coco y Coca tienen miedo (afflink) on Amazon. And to check out more of her wonderful printables, visit Carolina's TpT store. Free Download: Spanish Words Ending in "ción"